Question : How to get cheap flights from MIA to BNA? Question : What airlines fly from MIA to RSW? Question : How long is the flight from MIA-RSW? Answer : The flight from MIA to RSW is 12 hours 50 minutes non-stop, during that time you will fly about 104 miles. Question : How many flights are flown between MIA and RSW? Answer : There are 1 airline companies that fly from MIA to RSW, with approximately 56 flights per month. That averages about 14 flights per week. Question : How many miles from Miami to Fort Myers? Answer : The distance between MIA and RSW airports is about 104 miles. Question : What is the earliest and latest flight of the day from MIA to RSW? Answer : The earliest flight leaves MIA at 02:20 pm and arrives at RSW at 3:10 pm. The last flight of the day departs MIA at 6:00 pm and arrives at RSW at 6:59 pm. Save on your next flight from MIA to RSW when you book through Travelocity. 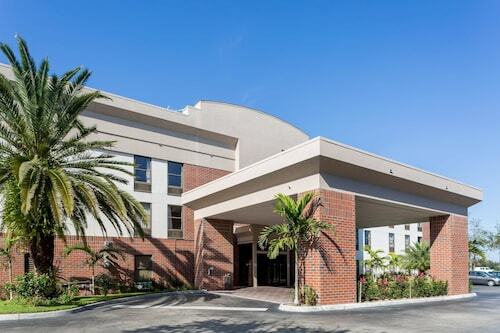 Need a last-minute flight to Fort Myers? Travelocity offers discount airfare no matter when you book, even on popular routes such as Miami Intl. Airport to Southwest Florida Intl. Airport. Whether you need a direct or indirect flight, you can trust Travelocity to provide you with the best prices for MIA to RSW flights. 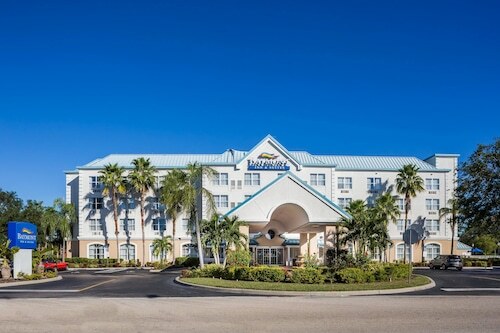 With tens of thousands of hotels to choose from including Universal Studios Florida Hotels you will always find the best place to stay on Expedia. Find the best Bora Bora Vacation Package today. Get a flight, hotel and rental car at the best online rates. Flight path for flights from Miami International Airport to Southwest Florida International Airport. Below are the most flown air carriers at Fort Myers (RSW) airport. Click to see their most popular routes and look for airfare. I don’t usually stay in Days Inn because they have thin walls and hard beds. This was NOT the case this time. I thought I was in a more expensive hotel. I slept so good and the breakfast was great! No dislikes. Free shuttle to the airport, early check in, and free breakfast were great! Restaurants within easy walking distance. Great place, nice amenities. Free food and drinks are a definitely a plus. See all 1,498 Properties in Southwest Florida Intl.